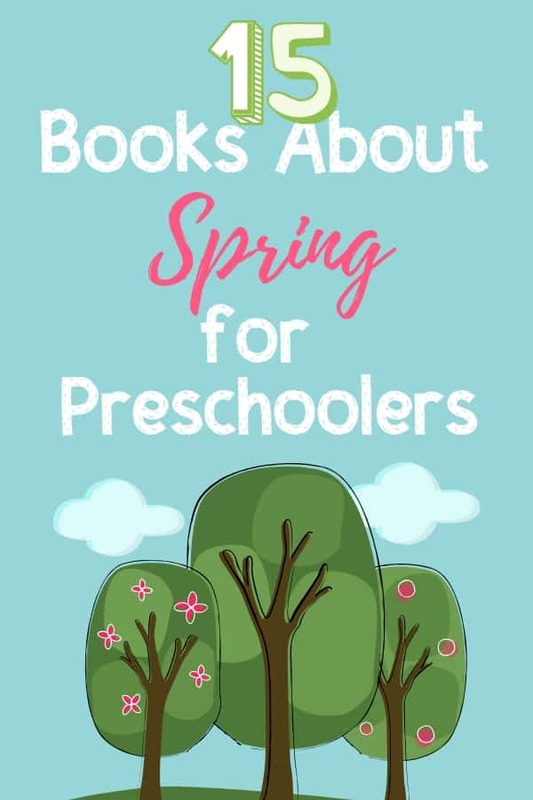 These books about Spring for preschoolers introduce concepts such as rain showers, baby animals, blooming flowers and seeds, and more. 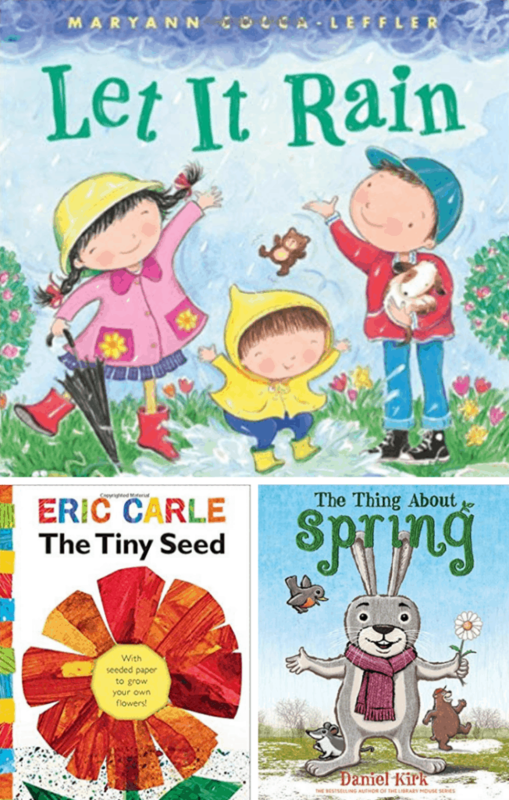 These books about Spring for preschoolers introduce concepts such as rain showers, baby animals, blooming flowers and seeds, and more! 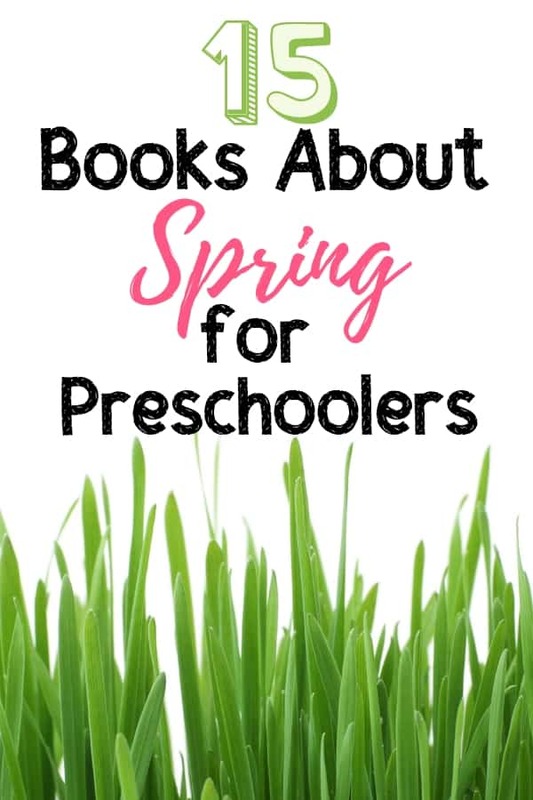 They are perfect to read as extension lessons to some of these excellent Spring activities for toddlers and preschoolers. Observing animal babies, jumping in puddles, looking for greens shooting up from the cold Earth to sprout beautiful flowers, are all signs of Spring for us. These books are among our favorites. Check out the list below, and consider adding to your collection or make a list for your next trip to the library. Spring is the perfect time to get outside with kids! Jump in some puddles or draw with chalk in the rain. 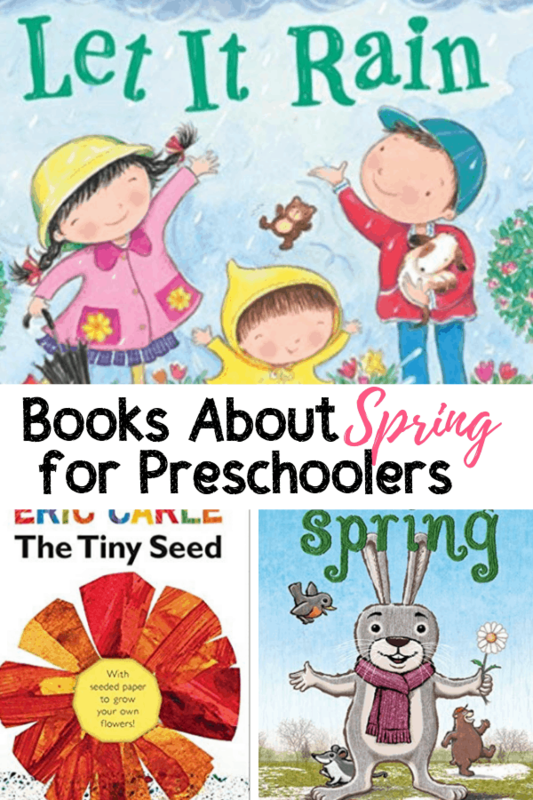 Have so much fun reading these books about Spring for preschoolers, and creating some of the activities listed above!